Russia has always intrigued me with its incongruities, contrasts, unpredictable emotions and turbulent history. 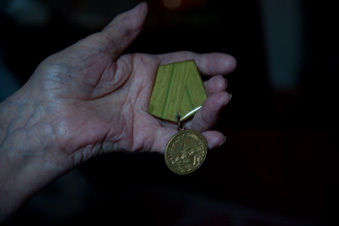 When, some years ago, I was working on the film Piter, a history of St Petersburg and seven of its inhabitants in days of a historic transition, I met the 90-year-old Jelena Jakovlevna, who survived the blockade of Leningrad during the Second World War. She confided in me a memory of those days that etched itself in my consciousness: she had entered a house where she saw a whole family sitting around the table, motionless like wax figures. Then she understood: they had starved to death and were frozen. In spite of her ninety years she had never told anyone about this. But every year she proudly took part in the parades in which she and other survivors were cheered and hailed as heroes and victors in the struggle against Nazi Germany. As if she had personally conquered the Germans rather than just managing not to die in the besieged city. The contrast between the public role of a hero that was imposed on her and her personal history, I found both extremely harrowing and incomprehensible. In all these years the Russian heritage of the Second World War has hardly been digested, certainly in comparison to Western Europe. The official viewpoint is rigid: Stalin was the conqueror, the sacrifices that were made were necessary. On the basis of the story of the blockade I wanted to show how much this version of history makes it almost impossible for people to cope with it and to find a place for the memories that are not in line with the official policy. And even in the present-day Russia of Putin, the heroic myth of this war is still deployed in order to create a heroic image of the country and to reinforce feelings of patriotic solidarity. 900 Days has come forth from my amazement that the pain and the traumas of the survivors are still not being recognised although more than half a century has since gone by. I am fascinated to see how the creation of a legend has in fact eroded the memories of some of the main characters in my film. But I am even more impressed by how other survivors, in spite of many decades of propaganda, have managed to stand by their own version of the truth. 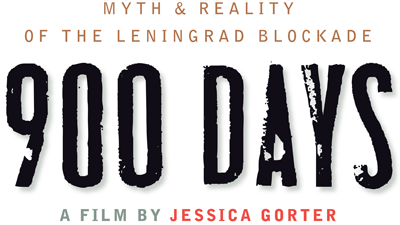 In 900 Days I touch on a universal theme: how do personal memories relate to collective commemorations, and the power of propaganda. The film poses the uncomfortable question whether it is better to know a gruesome truth or to embrace the comfort of a myth. The film does not give unequivocal answers but tries to address these complex problems individually.